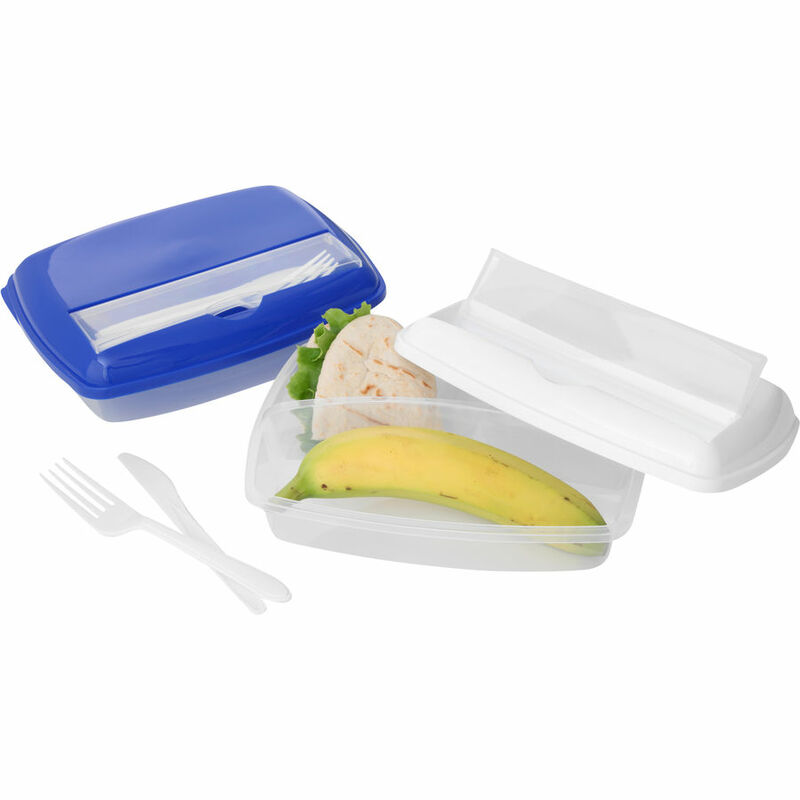 Lunch box with 3 separate compartments also includes plastic knife and fork in secure lid compartment. Large print area. Microwave and dishwasher safe. FDA approved. Lead Time: Standard delivery 7 working days from artwork approval.